That’s a blog post title I never thought I’d write. Next Monday and Tuesday the voice actors from America’s crudest family will hit the hallowed stage of Carnegie Hall to perform live readings of two episodes with musical selections performed by a 40-piece orchestra. 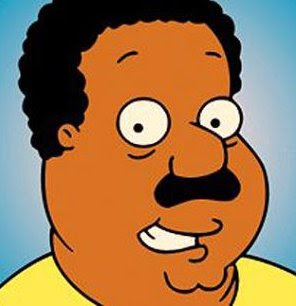 Guess which politico just got cast in Seth MacFarlane’s Family Guy spin-off, The Cleveland Show? Oh and the best part: she’s playing the matriarch of a family of bears that lives next door to Cleveland. I’d like to think she has better things to do, but then again it’s probably a lot of coin for not a lot of work. You go girl. Sorry for the lack of posts folks. The internet is down so I’m writing from the Student Union. I feel very collegiate. Let’s do a news round-up to get back in the swing of things shall we? Everyone is still reeling over the loss of Tim Russert. His empty chair during yesterday’s Meet The Press spoke volumes. His son Luke spoke to Matt Lauer on The Today Show this morning. Luke’s passion will be a fitting living tribute of his father’s best work. Got an idea for a reality show? This is your chance to get it on the air…seriously! Gawker put together a collection of the best Family Guy news clips. These are the last vestiges of what used to be a very funny TV show. Angelina Jolie’s papa, Jon Voight, was just cast as the villain on the next season of 24. Here’s hoping he just reprises his role as Coach Kilmer from Varsity Blues. The Office spin-off is moving forward…for better or worse…and the first cast member was announced last week. Aziz Ansari is a great comedian best known for his work on MTV’s Human Giant. You can check out Ansari’s personal site here. And in case you missed this last week (sorry if edubTV is your only source of TV news), Tila Tequila thinks her ridiculous show garnered awareness for the LGBT community in California, thus pushing the civil-union decision forward. There are no words for just how ridiculous that is. 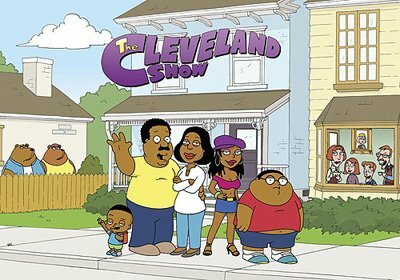 I watched the trailer for the new Family Guy spin-off The Cleveland Show this afternoon. You can take a peak as well right here. I can’t really tell which characters are real and which were just Family Guy inspired jokes. Will Cleveland really live next door to a family of bears? Am I an idiot for asking? Am I supposed to understand how the Seth McFarland universe works or just accept it? But you know what saved the whole thing? The little ditty Cleveland sang at the end. I don’t know if it’s the theme song, but if anything from this ridiculous trailer gets kept, that’s it. 1. That damn song is so catchy. 2. I always liked Cleveland. 3. I support shows with strong minority leads. If I have to take them animated form, then so be it.